With the evolving information security landscape, emerging markets, and changing buyer research patterns, it is increasingly important to deliver the right message to the right person at the right time. 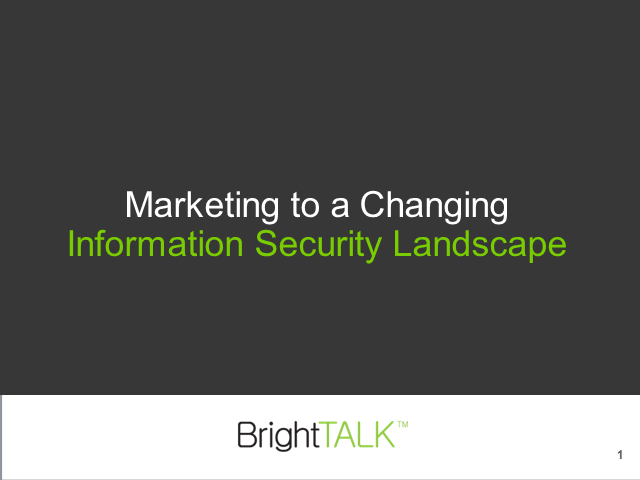 Join Derek Brink, VP and Research Fellow of Aberdeen Group, and BrightTALK to find out the most recent trends in information security and their implications for marketers. Find out how to track and respond to buyers' digital body language as the presenters marry the topics of content, distribution, and insight into a discussion of best practices in influencing the ever-growing, yet fragmented, online audience.